Everybody makes these lists of characters that need a movie, and every one of them are Black Panther, Captain Marvel, She-Hulk blah, blah, blah. I’m going outside the box here and naming some characters that you probably haven’t thought of, maybe not even heard of. Dane Whitman’s origin story is being covered in a way in the Ant-Man film, as his is a mantle that’s passed on. The difference here is that Dane Whitman inherited the mantle of the Black Knight from his uncle who was a villain. When one his uncle’s criminal endeavors ended with him falling from his flying horse, Whitman went to his deathbed, where the criminal expressed remorse and asked Dane to redeem the name, he became the hero known as the Black Knight. Here I pictured an ancestor of Whitman, the Medieval Black Knight, Sir Percy of Scandia. Whitman’s costume could hearken to this look and lead to a storyline where Sir Percy’s legacy has been tarnished and Dane Whitman has to redeem it, all the while pursued by the authorities. Upon redemption of the name and legacy of the Black Knight, he receives contact from a super-hero team, but maybe not the one you’d suspect. A flying horse gives Marvel the chance to flex some CGI muscles, and focusing on a single character lets them play with some themes not touched on in Marvel movies so far, a legacy that goes back centuries and give the Cinematic Universe some age on Earth. Go and read the British solo stories by Alan Moore and Alan Davis, and you’ll see the direction I think a solo movie would go. We could even take the Marvel Cinematic Universe from being a universe into a multiverse. Brian Braddock is rescued from a death caused by a terrorist attack by Merlin, he becomes the hero of the British Isles. His sister Betsy and his lover Meggan might have to be sacrificed to the X-Men license, but imagine a story that starts with him thwarting the criminal mastermind Vixen, being targeted by the assassin Slaymaster before realizing it’s a plot by the reality warping Jim Jaspers, rooted in British Parliament! Rumors actually circled about this a few years ago, but it doesn’t look close at all to happening. With a plethora of great British actors right now, I can think of no better use for someone to make an iconic character theirs. You want to impress me? 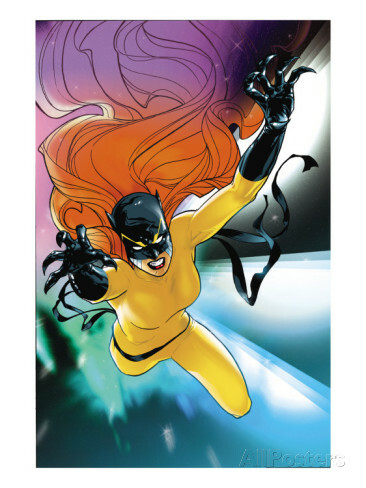 Start the first 30 minutes of the movie giving me Patsy Walker as a ditzy redhead worrying about what her boyfriend Buzz is doing with her best friend Hedy, and then turn the whole thing around with a suit, or amulet, or what have you, and she finds herself forced to thwart an evil plot as Hellcat in the remaining hour of the film. Keep her in the yellow costume and you’ll win extra points with me. I’m serious about essentially changing the direction of the film about a third of the way through, and giving us something entirely different. Attaching the right actress to it can make for a film that latches Marvel firmly in the role of leader in comic book movies, by succeeding with a film about a relatively low-powered and unknown character in a film with an unconventional plot. Aaron Stack was created to be a soldier but evolved into so much more. Let’s imagine this character in a universe where Tony Stark creates an artificial intelligence that threatens the world. I’d imagine we have a fugitive storyline, with Machine Man on the run from a company, and probably a government that wants him destroyed. CGI would be in full effect to make use of the various ways he transforms his body to meet threats, and if we wanted to get really inventive, we could take our inspiration from some of the adaptations he used in his initial solo series. A page could even be taken from Nextwave and give the film a humorous tone that gives way when complete violence is needed. We don’t even have to put an actor under weird makeup for large red eyes, just red contacts or a little CGI, and we have a look that lets an actor give a robotic character life. Okay, Marvel, I dare you to make a Batman film. 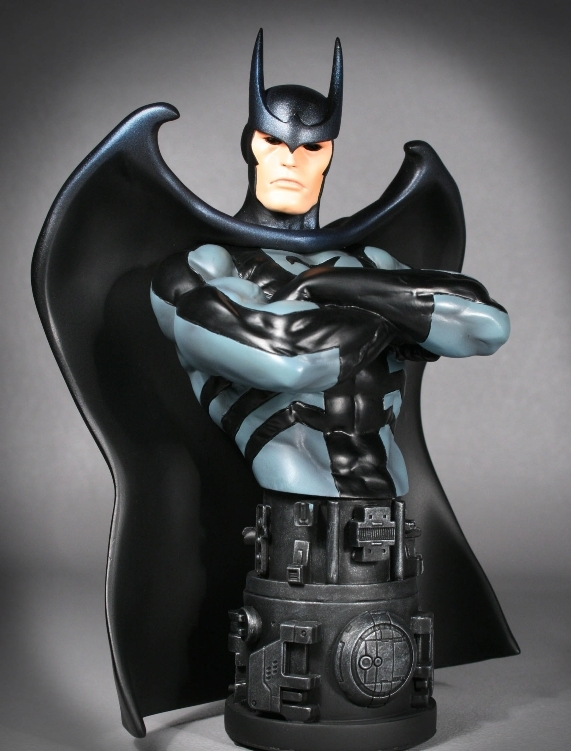 Nighthawk’s origin was to be a rip-off of Batman, without being Batman. Let’s keep him as a multi-millionaire, but keep to the Marvel roots of disgracing him, and maybe even forcing him to overcome near-paralysis to become a vigilante working to keep his city’s criminals from terrorizing the innocent. Which costume to go with? 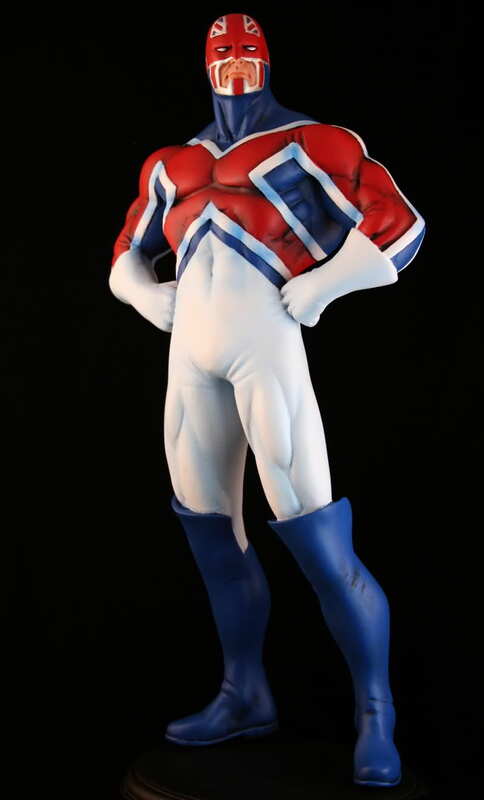 Well, why not start off the film with something akin to the original Ultimate costume which doesn’t work for “creature of the night” motif, but culminating in something like the Squadron Supreme blue and black and the Max Imprint head to toe black leather costume. Crossing those two would be skirting that Batman-like line, but Marvel might just have the cojones to give it a shot. Seriously, Marvel, make a Batman film and I will follow you for life.